Henri Coandă International Airport. Photo: Cristian Bortes. 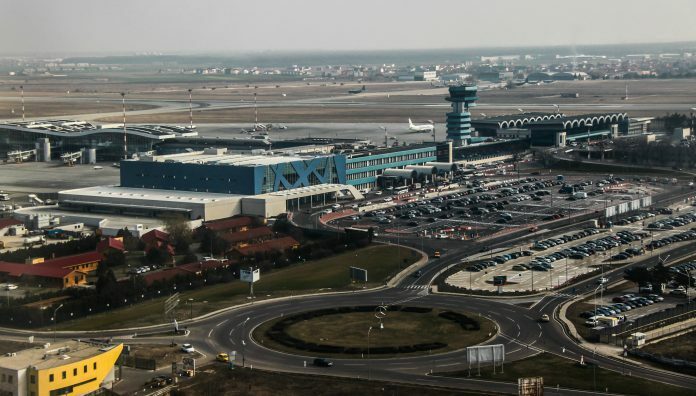 The feasibility of a monorail system to Henri Coandă International Airport (HCIA) – Romania’s busiest airport – in Bucharest is to be assessed as part of an updated study on improved rail connectivity. State rail operator Căile Ferate Române has awarded engineering firm Baicons a 2.5 million lei (∼€540,000) contract to update the assessment of a rail link between the capital city and HCIA. This study is expected to take 12 months. The first stage will see four possible connections assessed, including the option of a monorail from the district of Odăi to the terminals of HCIA. Stage two will see a technical evaluation of the route chosen in stage one. The project forms part of the improved connectivity driven by Trans-European Transport Networks in the European Union.